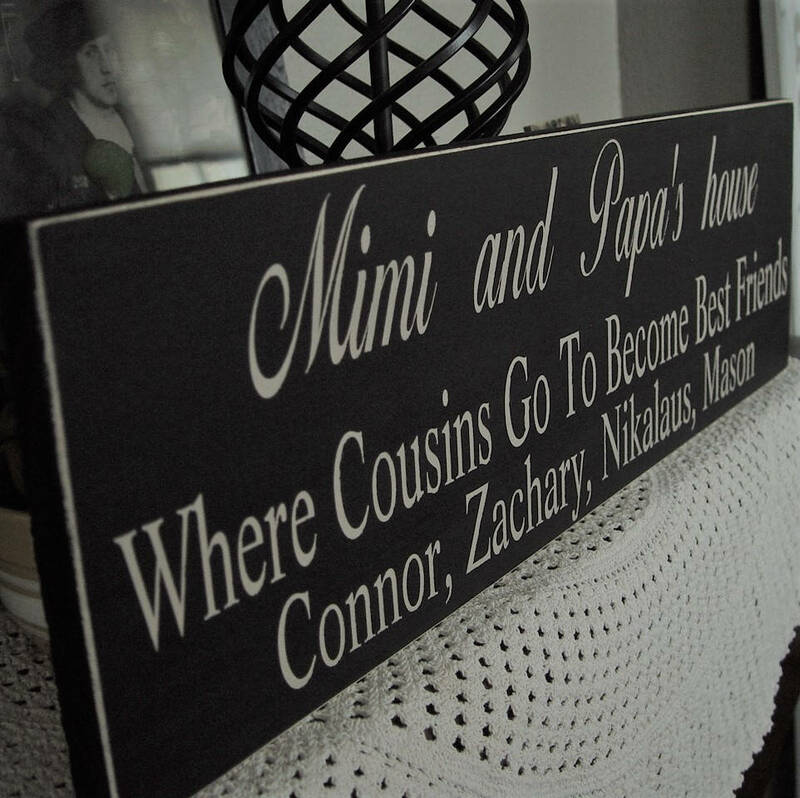 Our Grandparents sign, where cousins go to become best friends can be fully personalized with your Grandparent's names as well as the Grandchildren's names. 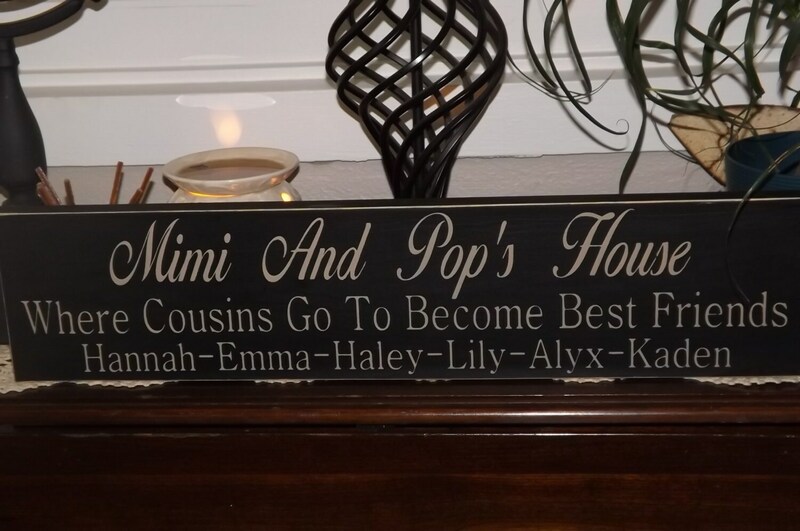 The second line "where cousins go to become best friends" can be removed or replace with your favorite saying or used to add addition grandchildren names. 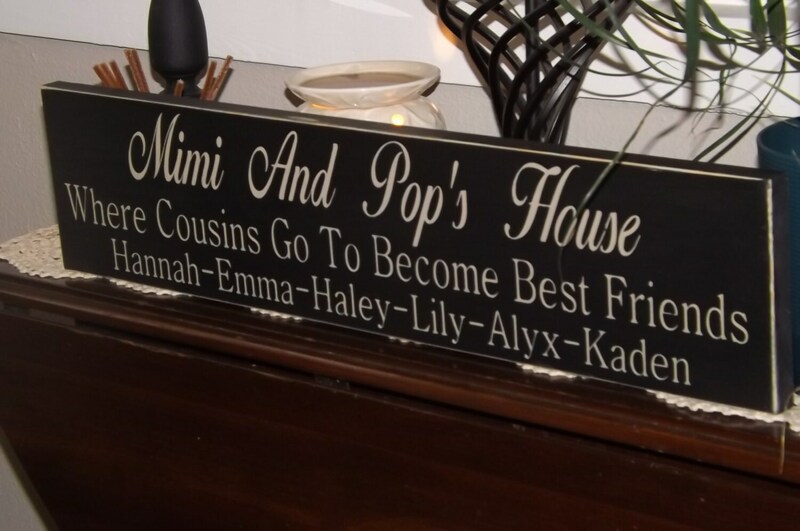 If you have more than 8 names they can be added on each side of the "Nana And Papa's House" or "where cousins go to become best friends" can be removed and names placed on the second line. There is an additional charge for each name, which can be viewed under "Addition Names" drop down box. Color: Black, Brown, Burgundy, Hunter Green or Navy Blue Lettering color is Country White..
SECOND LINE CHANGE: PLEASE SPECIFY WHAT YOU WOULD LIKE ON THIS LINE. As with all natural products, there maybe slight imperfections in the wood, small knots, dings or raised grain, etc., nature always gives us something interesting to look at... We do our best to hunt down boards that are as close to blemish free as possible, we do use as much recycled wood as possible. We do not paint the back of the board and pass the savings onto you, it allows for a faster drying time also. 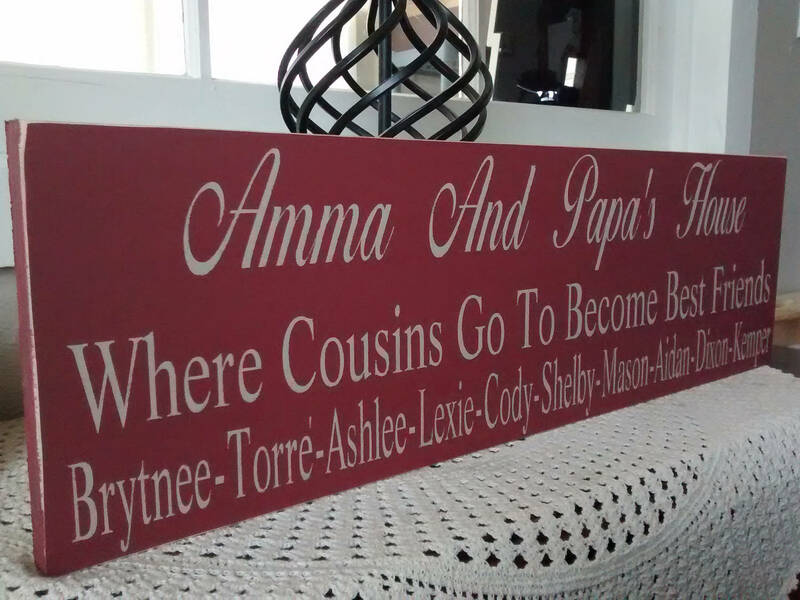 Shipping discounts are available if you purchase more than one sign, so don't forget the other set of Grandparents.. Item was just as described. My in-laws LOVED getting this for Christmas. Fast shipping as well. Great customer service. 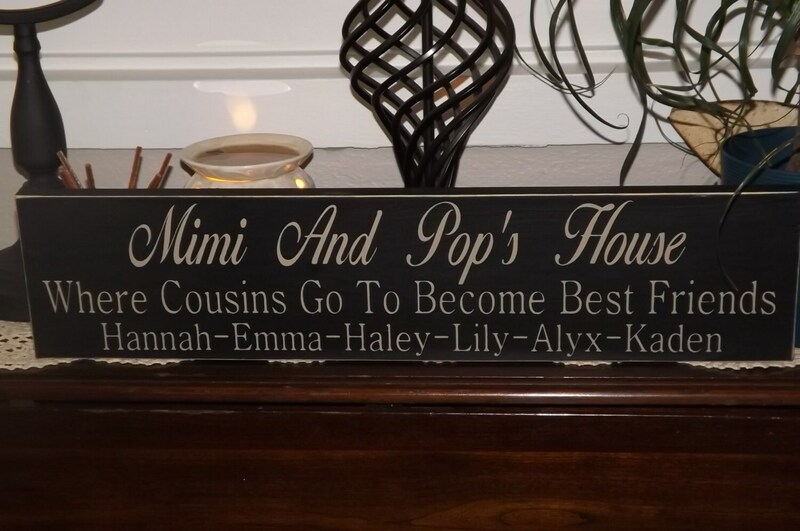 She was able to add 18 grandkids' names and it looks amazing!